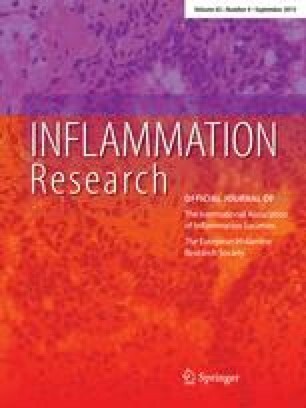 Pro-inflammatory cytokines, some of which have the capacity to modulate cartilage and bone metabolism, are important mediators of the frequently sustained and destructive inflammation that characterises rheumatoid arthritis (RA). Tumour necrosis factor alpha (TNFα) and interleukin-1 (IL-1) have been studied extensively in this regard. That these proteins are important is no longer in doubt following the demonstration that the IL-1 receptor antagonist and neutralising antibodies directed against TNFα are clinically effective. Recent studies suggest that interleukin-6 (IL-6) and other members of the IL-6 cytokine subfamily are also potentially important cytokines in the pathogenesis of RA. The recognition of shared molecular subunits in the receptors for these cytokines raises the possibility that components of these receptors or their derivatives, either alone or in combination, may be useful for antagonising members of the IL-6 cytokine subfamily. Effective antagonism could be therapeutically beneficial in respect to attenuating inflammation and protecting critically important chondral and skeletal tissue. In this review the rationale and possible strategies for such antagonism are discussed.